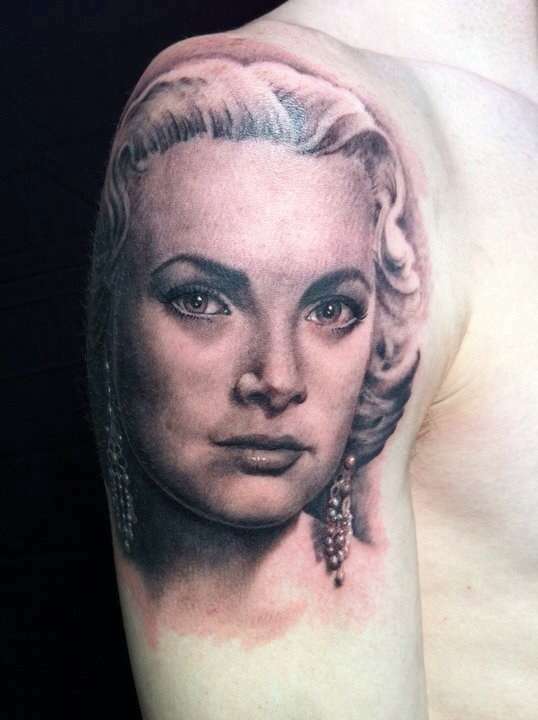 This portrait was done on me by Deran Hall in Greensboro, NC. It is the beginning of a full sleeve dedicated to the year 1982. It took around 8 hours to complete.